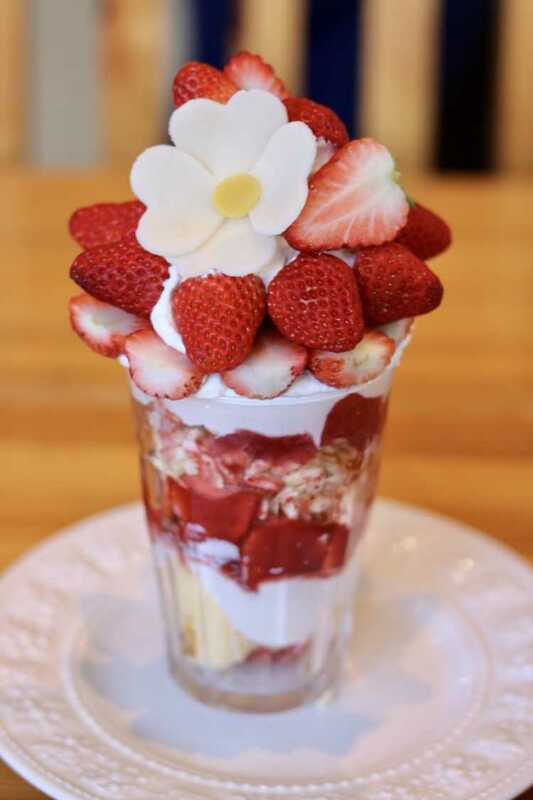 Strawberry Gran Parfait with more than 20 strawberries and good for our health. There're different ingredients in the glass, so we'll never get tired of the taste till the last spoon. This cafe opens only Saturdays and Sundays, and you need to book table.